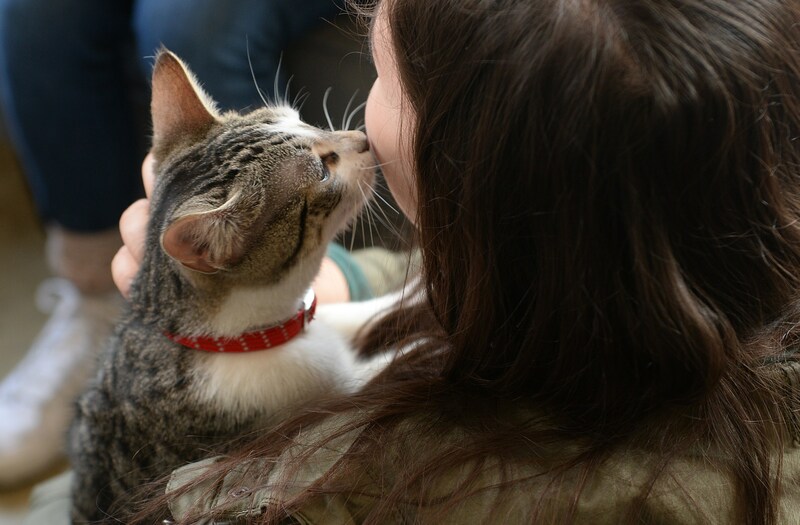 Cats can be pretty much like dogs when it comes to loving their human family members. 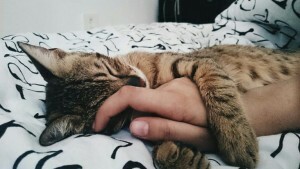 A cat can show love, be clingy to its owner, and suffer separation anxiety if left without its favorite person for a long time. Those who believe cats are aloof creatures are in for a big surprise! Felines can share a beautiful bond with their humans. They also tend to pick a favorite person in the household just like dogs. If you’ve just adopted a cute kitty and want to be its number one person you’ll definitely have to consider your cat’s needs & comfort. However to win the critter’s heart you need to go beyond just fulfilling its food requirements and cleaning the litter box. Even studies show that cats can be pretty much independent when it comes to meeting their very basic needs of food/survival; therefore winning its heart will require more than just a Cat Treat. Here’s how you can emerge as your cat’s favorite human companion. 1) Let the pet cat be in-control: Felines like to decide what they want or when they want something. They can be pretty moody! You have a better chance at winning a cat’s heart if you are able to comprehend its mood swings & act accordingly. According Marilyn Krieger, a certified cat behavior consultant, interacting with a cat without its permission is a big NO. A cat doesn’t like being cornered by humans trying to interact with it/pet it, especially when it isn’t ready for interaction. When dealing with a nervous kitty, you have to make it feel safe around you by letting it be in-charge of the situation. To be in your cat’s good books let it come to you and invite you to pet it. Marilyn also infers that a person can encourage the kitty to come to him/her by squatting down to the kitty’s level while maintaining a distance of a few feet from the feline. The person then needs to point his/her index finger to the cat at its nose level. 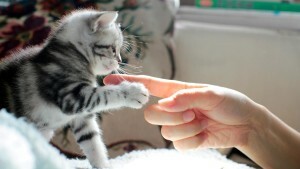 If the cat wishes to interact it will reach this extended index finger and touch it first with its nose and later with the cheek. This is an invitation to pet it. The feline rubs its cheek to release pheromones from the scent glands. Also most cats don’t like being handled by complete strangers. 2) Earning your cat’s trust is important: To be its chosen-one you have to build trust. Therefore this also points out to allowing the cat to be in-control of things and feel safe. 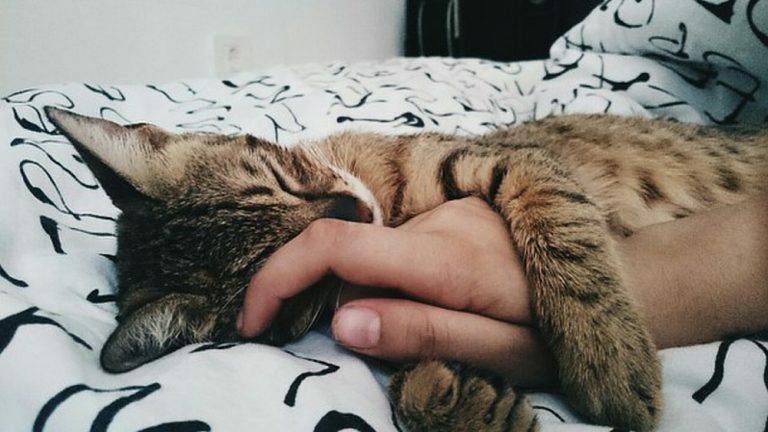 Sometimes a rescue cat may not be able to bond properly with its new owner. It may link the new owner to a past abuser due to similarities in height, hair color, gender or age. A cat will also remember a past action of yours that it didn’t appreciate. So if you forcefully cuddled or stroked her chances are it might not be able to trust you easily. Even violent handling that lacks gentleness will not go down well with the kitty. 3. Your personality must be in-sync with the cat’s temperament: A cat tends to naturally bend towards a person whose personality matches with its nature. 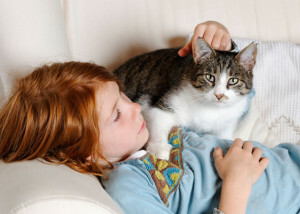 If your pet cat is the nervous types it will seek solace around a family member that makes it feel safe & calms it down. Some felines are very energetic and playful then there are others who do not appreciate roughhousing. A kitty that is laid back and peace loving will be more comfortable with a quiet human. So a mouser after responsible observation will pick its favorite person giving much importance to his/her character. 4. Few Cat Breeds are naturally fussy, It’s genetics: Some breeds are one-person cats. Then there are cat breeds that are loyal to more than one person in the household. Scottish folds can get attached to one or more humans in the house. Turkish Angoras tend to choose one favorite person and often stay clingy towards and protective of this human. Cat behaviorists/Specialists claim that Himalayan, Bengal and Siamese cats have space for only one individual in their hearts. 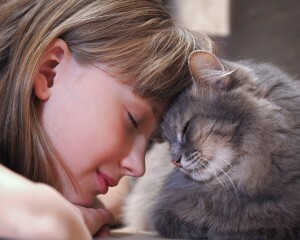 It’s not just pure-breds even a mixed breed kitty can be extremely close to only one human family member. A cat may derive enough satisfaction from this one relationship including its basic needs of survival & exercise/play and may not look elsewhere for companionship to form a similar bond. Cats love to communicate with a person who lets them call the shots. Don’t feel dejected if you aren’t the preferred one! A cat might display favoritism but it will still regard other family members and may show affection towards them from time to time. Petsworld India does not endorse or recommend the contents of this article nor has verified the same. User Discretion is strongly recommended. Next PostNext Seasonal Affective Disorder in Dogs: Do Pets Get The Winter Blues, Too?